-"Where the cloth comes from". 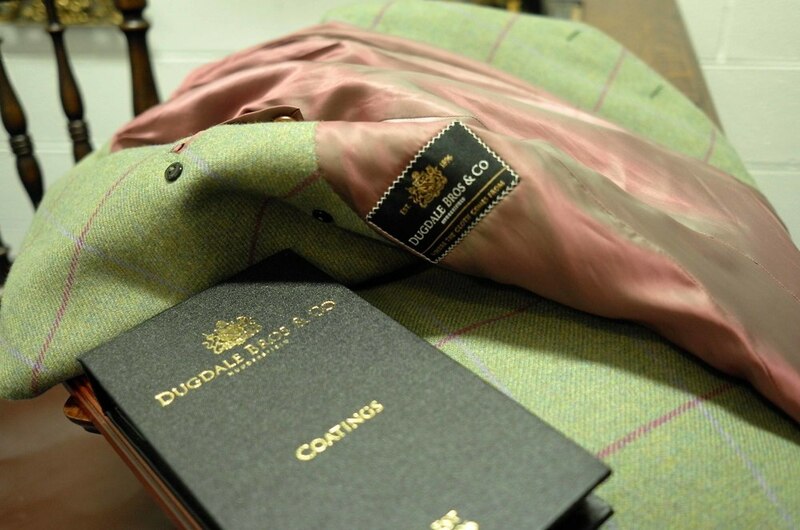 Dugdale Bros & Co. is a venerable name in suiting and jacketing fabrics, with origins from 1896. The company hails from Huddersfield in Yorkshire, England, in a city that was historically the world's most renowned centre for wool production, having dominated the world wool trade for 150 years. Huddersfield was a bustling home to merchants, traders and tailors alike, and even though Dugdale Bros is the only cloth merchant left in the centre of Huddersfield, the fine manufacturing heritage of the town provides a constant source of inspiration to a company that has been committed to textiles for well over 100 years. Dugdale Bros can trace its roots back to the brothers Henry Percy and Frederick Herbert Dugdale established their merchant business over 100 yeares ago. 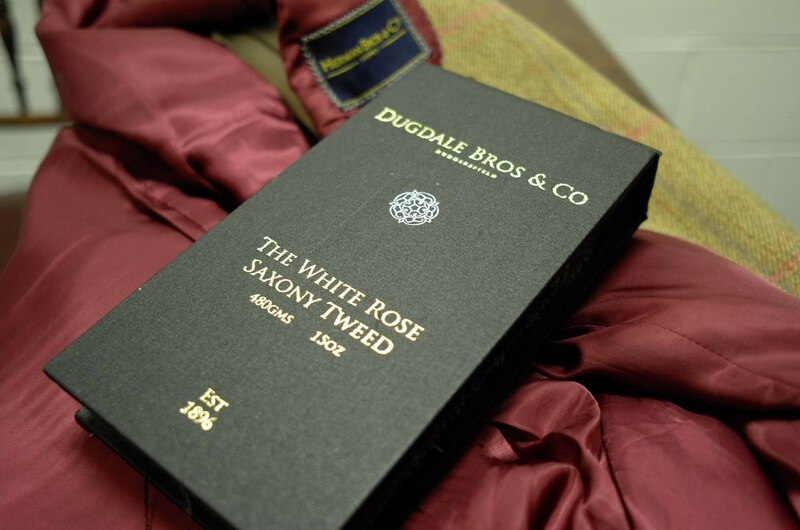 Employing skilled designers, weavers and finishers, Dugdale Bros & Co. produced cloths that soon found favour with fine tailors in the UK and worldwide. Its speciality was making clothes for the military uniforms of the British and French armed forces. 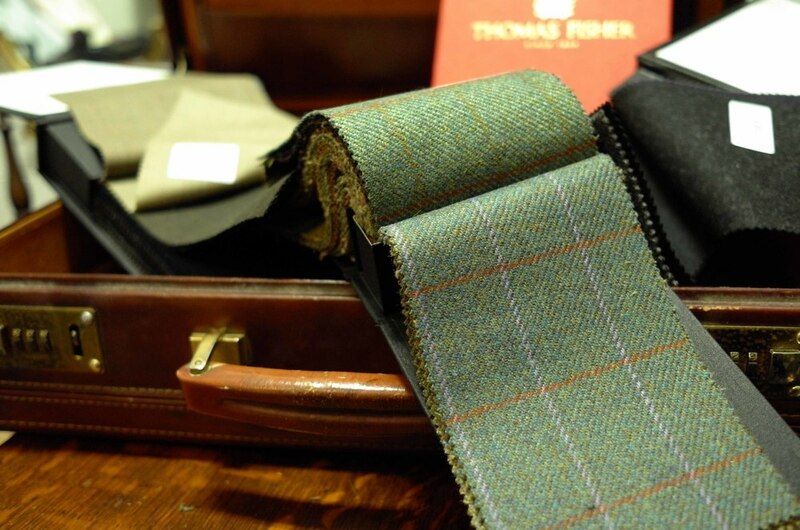 Dugdale & Bros is known for its solid, robust fabric. Often described as "heavier and full blooded" with a high finish, it is the quintessential English cloth true to English traditions. Fast forward to today, and Dugdale Brothers is the choice fabric celebrities and even royalties. In 2011 the current Queen Elizabeth’s granddaughter Zara Philips married England Rugby player Mike Tindall in a suit made from Dugdale & Bros fabric. One of the marquee collections we offer at Herman Bros & Co. from Dugdale Bros is the White Rose Saxony Tweed collection. This was designed by iconic cloth designer Pat Keeney as his last commission before retirement. For over four decades, Pat Keeney's has been engaged by some of the finest tweed and cloth producers in Scotland for his designs. Manufactured by Johnstons of Elgin with history dating back to 1797, the 100% Saxony wool fabric comes in a variety of shades from soft green with an orange and purple windowpane to dark tan with a turquoise overcheck, and is available to customers of Herman Bros & Co.
What we love at Herman Bros & Co. is the company's unashamedly English approach to fabric production and textures. It makes the Dugdale Bros fabric especially suitable for custom tailored overcoating and jackets requiring a heavier, more substantive, cloth that carries a certain proudness and durability. We are confident that commissioning a Herman Bros overcoat made from such iconic tweeds & fabrics will remain with you for years, if not decades - valued and passed down through the generation.